You have the choice of creating a single-page or multiple-page website. Single-page sites can display up to 20 sections, though having fewer sections enables visitors to see everything in a short scroll. If your needs are more complex, in Website Builder you can create a multiple-page site (up to 50 pages). 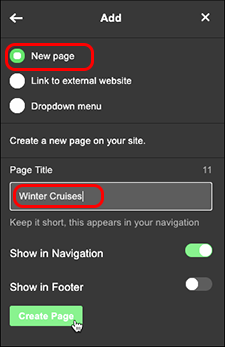 The navigation bar for multiple-page sites can show links to all your pages, so visitors can go right to the page they want. 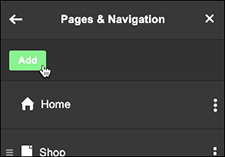 The new page will have no content, so click Add Section and see Add a section to begin adding content to your new page.